You are here: Home / News / Business / What’s being done about state and county government employee parking in Wailuku Town? What’s being done about state and county government employee parking in Wailuku Town? We’ve received a couple letters to the editor from residents lately in response on our recent coverage of the Wailuku Town parking enforcement and proposed parking meters. The writers asked us what was up with state and county government seeing to their own employees’ parking needs–especially considering that commercial businesses in Wailuku Town are under pretty strict rules to provide parking for their own employees and customers. There have actually been a few improvements in this realm, according to county planner Erin Wade and consultant Andrew Miller’s Wailuku Town Parking Study, which was last updated in 2013. The “temporary” parking lot at the site of the Old Wailuku Post Office added a net 14 new spaces for county employees, according to the Parking Study. Wade also said the county is planning a new county employee lot near the Bailey House Museum. If the county ever manages to build their proposed new office complex–which will sit on the old Post Office–that will include even more employee parking. 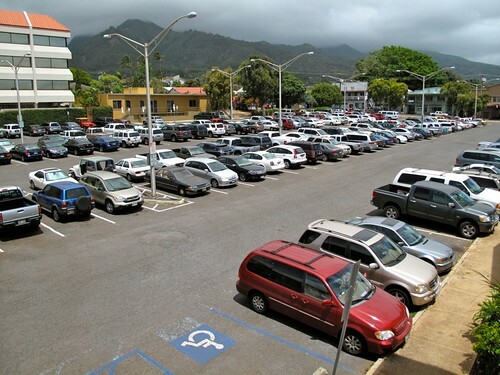 According to Wade, a recent survey of county employees found that less than five were still using the Wailuku Municipal Parking Lot (pictured above). The vast majority of users there are presumed to be state employees who work at the State Office Building and Hoapili Hale (the courthouse), but that’s actually a matter of conjecture. The recent action Wade is referring to is Senate Bill 142, introduced by Maui Democratic Senators Gil Keith-Agaran, Roz Baker and J. Kalani English. The bill appropriates $250,000 for “the department of accounting and general services to develop a Wailuku state office master plan to address the shortage of space in the Wailuku state office building and old courthouse building.” That plan, it’s hoped, would deal with employee parking. Though the state Judiciary has taken no position on the bill, Court Administrator Rodney A. Maile did say in his Jan. 30 testimony on the bill that they “would be open to participating in a discussion of a master state office plan for the area.” That’s because, according to Maile’s testimony, the Judiciary needs more space on Maui. Currently, Hoapili Hale gives them about 80,000 square feet (and needs about $30.5 million in maintenance), and they lease another 13,300 square feet. “To consolidate operations and accommodate projected growth through 2030, the Hawai‘i Judiciary Facilities Master Plan recommends that 82,000 SF be added in the Wailuku-Kahului area,” Maile wrote. What’s more, the county is taking steps to ease parking restrictions on certain Wailuku Town businesses. They also may institute a “Payment in lieu of Parking” program, in which business can pay a fee instead of building required parking. This fee would then go to fund additional public parking facilities. Miller had recommended in his Parking Study that the county eliminate mandated parking ratios for restaurants, taverns/clubs, retail shops and boutique hotels (the kinds of land uses “that are most desired” for the Wailuku Redevelopment Area). 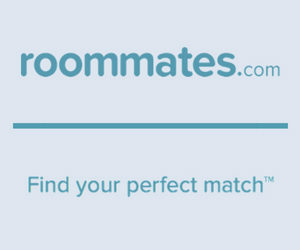 Wade said this is happening. According to the revised Wailuku Redevelopment Area Zoning & Development Code provided by Wade, parking ratios have been eliminated for clubs, restaurants, food & beverage retail shops and open-air dining establishments, and relaxed for hotels. As for parking assessment fees, Wade said that’s still in the development stage.